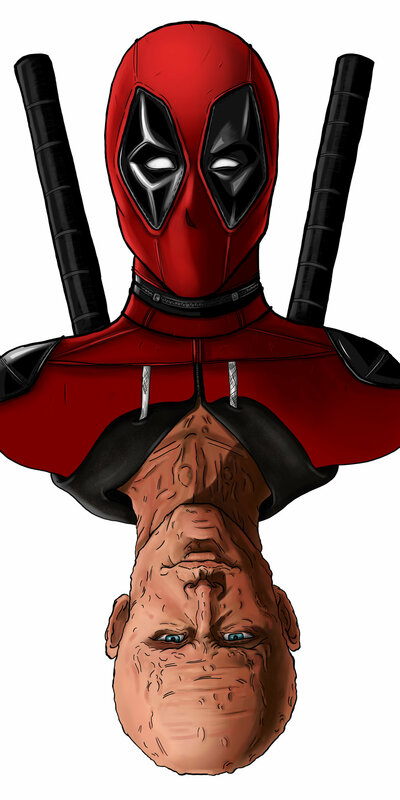 Step 1) I drew out Ryan Reynolds, then duplicated and flipped the image to build on top of. 2) After I costumed the character I inked the image. 3) Next I made a layer with red making sure to stay within the lines. Then while on that layer I used the magic wand tool (you'll see the selected area enclosed by "marching ants" line) and selected the red, then you go to select>modify>contract and then contract by 2 pixels. Now when you start new layers you'll stay within the red selected bit. From here I do the shading and the highlighting without worrying about being messy. 4) Next I repeated the same steps as above but with a flesh tone and then built the face from there. 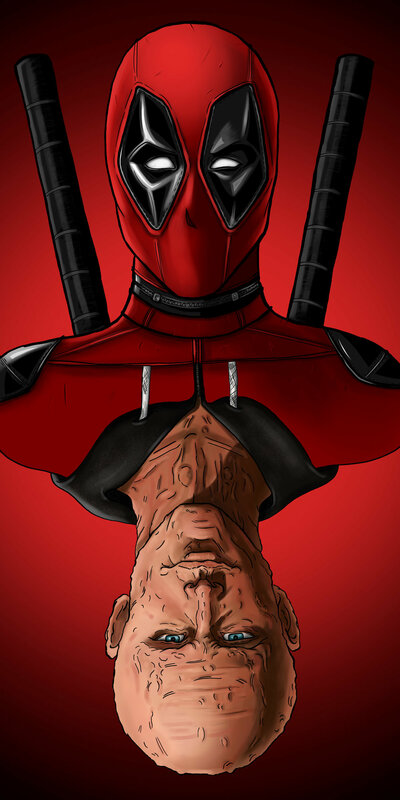 5) Next it was just adding the background, under the deadpool layers. Simply laid down a black layer and then with a soft brush and fade I added the red.